With a focus on fun and fellowship Thursday youth group is open to all 7-12th graders and friends! With a relaxed atmosphere we look to provide safe and relative fun topics to discuss, games to play, and dinner to enjoy! Join us any time between 5:30-7pm. All 7-12th grade students are invited to join us in the journey of “The Story” with the rest of the parish here at St. Thomas. From 11:30-12:30 teens will begin a 31 week curriculum taking the entire bible and turning it into a week to week learning opportunity. So many of us say we want to read the Bible, but don’t know where to start, well, this is a great opportunity to hear the stories in a more comprehendible way! The bishop visits St. Thomas every other year. 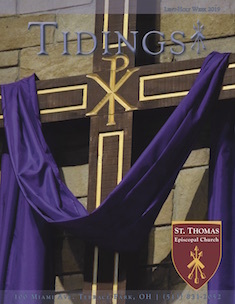 The next confirmation to be held at St. Thomas for any youth or adults interested will be for the 2019-2020 program year. Stay tuned for more details!